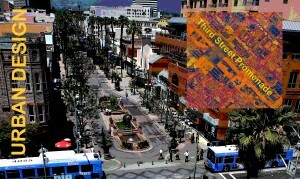 Santa Monica Promenade from Rick Meghiddo on Vimeo. It was a Saturday in late June — a spring-like summer day. My plan for the morning was to first check a couple of potential sites for future shooting, and then to go watch a movie in Santa Monica that had a single show at 11:20 AM. The traffic on the freeway was light, and I finished my tasks earlier than expected. As soon as I was done, I drove straight to Santa Monica. I parked the car in Structure #4, across from the Laemmle Monica 4-Plex Theater. It was 10:00 AM. I decided to spend an hour at Hennessey + Ingalls Bookstore on Wilshire, the best supplied bookstore on art and architecture that I know. I started to walk along 2nd Street. When I reached Arizona Avenue, I realized that it was Farmer’s Market day. The place was alive with people of all ages. I bought a small basket of figs and went back to the car to pick up my camera. Urban design is for those who can hold their breath for a long time. No instant gratification is in the cards. It demands a lengthy process: dreaming, developing a vision, programming, design, construction and post-construction management. The road is strewn with financial, bureaucratic, political and psychological obstacles. As soon as an urban design plan enters the arena of public hearings, a cacophony chorus of NIMBY’s and naysayers emerge from the shadows of apathy, or of nostalgia for the past. The right mix of people, at the right time, is critical — planners, politicians, developers and architects must work in sync to reach concrete results. Parcels of land must be purchased, one by one, to create a coherent whole. Moral standards must be put on alert to mitigate gentrification. The original design of the Promenade started in back 1978 and lasted for two years. The time was ripe – or at least so many architects and planners thought so – to generate more eclectic urban renewal projects than the ones imagined by the visionaries of the 1960s and 1970s. Jane Jacobs had published “The Death and Life of Great American Cities” in 1961; Robert Venturi had published “Complexity and Contradiction in Architecture” in 1966; Jonathan Barnett’s “Urban Design as Public Policy” came out in 1974; and Christopher Alexander’s “A Pattern Language” had been published in 1977. Many of their ideas had become acceptable; others degenerated into a decadent Post-Modern architectural fad. 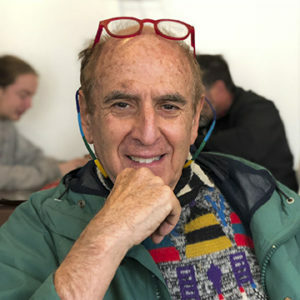 A shopping mall at the southern end of the Third Street Promenade, then called Santa Monica Place, had been designed by collaboration between Frank Gehry and his former employer, Victor Gruen. Gehry had started to become famous after the design of his own residence in Santa Monica, and after his experimentation with the design of some of his artist-friends’ studios. Santa Monica Place was his big jump in scale. Things didn’t progress without difficulty. California’s Proposition 13 in 1978 brought government-sponsored urban design initiatives to a halt. The 1980s started with a severe recession, yet urban design in Santa Monica got a jump-start in 1984. The City Council created the Third Street Development Corporation (later renamed Bayside District Corporation), and with a $13 million initial investment, got the ball rolling. It was the beginning the present-day $500 million real estate, which attracts 10 million visitors every year and produces $300 million in annual spending. Sales taxes alone are over $5 million. What we see today is not exactly what was originally designed in 1980. The ROMA Design Group, a San Francisco-based interdisciplinary firm of architects, landscape architects, and urban planners, redesigned the area in 1990. 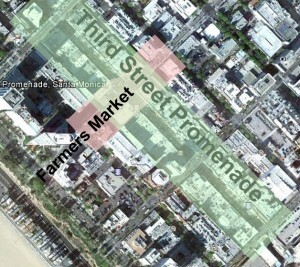 The process of improvement in downtown Santa Monica continues to this very day. This successful urban design story carries several messages: 1. The importance of having a vision; 2. Good leadership, design and management; 3. A mix of retailers at multiple levels, local and national; 4. Effective parking; 5. Pedestrian prioritization; 6. A mix of residential rentals units and condos at multiple price brackets; and 7. Design guidelines that allow flexibility while demanding high standards. The United States has 600 cities with a population of more than 50,000, totaling 100 million people. 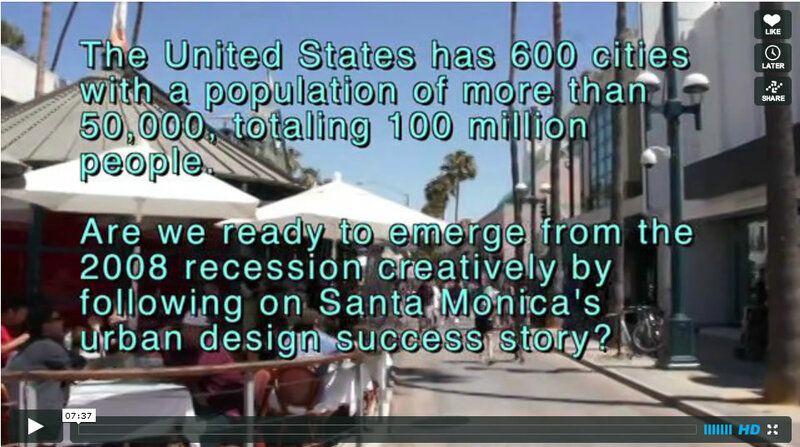 Are we ready to emerge from the 2008 recession by following creatively on Santa Monica’s urban design success story?